I have decided the real reason we celebrate our independence in July is because our founding fathers had foresight to know that we would love a good outdoor party with family and friends celebrating not only freedom but the wonderful summer weather. I couldn’t imagine doing anything indoors on July 4th. Really . . . when you think of July 4th do you picture reading a book in a quiet corner, baking or putting together a puzzle in a basement room? Didn’t think so—you probably imagine someone grilling, running through the sprinklers, napping on a hammock or licking an ice cream cone. Guess what; I plan on doing as much of that as I can and I think everyone else should do the same. Here are my top 5 musts for a great Independence Day this coming Monday. What would you add to the list? Fireworks are a must. Whether you set them off yourself or you watch them on a much grander scale; you need to have fireworks. Here are some options for me this coming Monday. 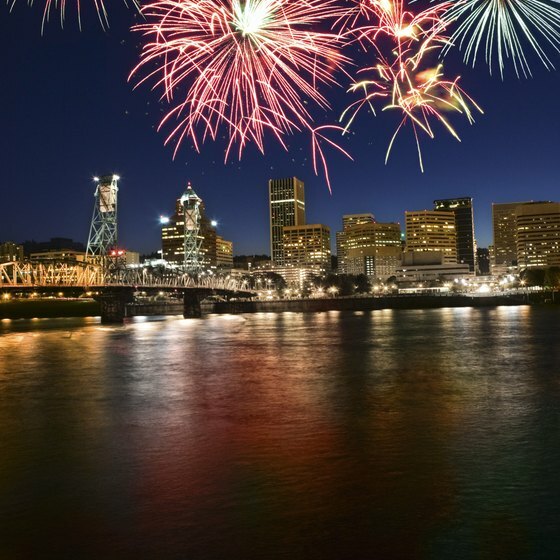 Fireworks over the Willamette River which can be seen at multiple places but I might try one of the bridges this year. 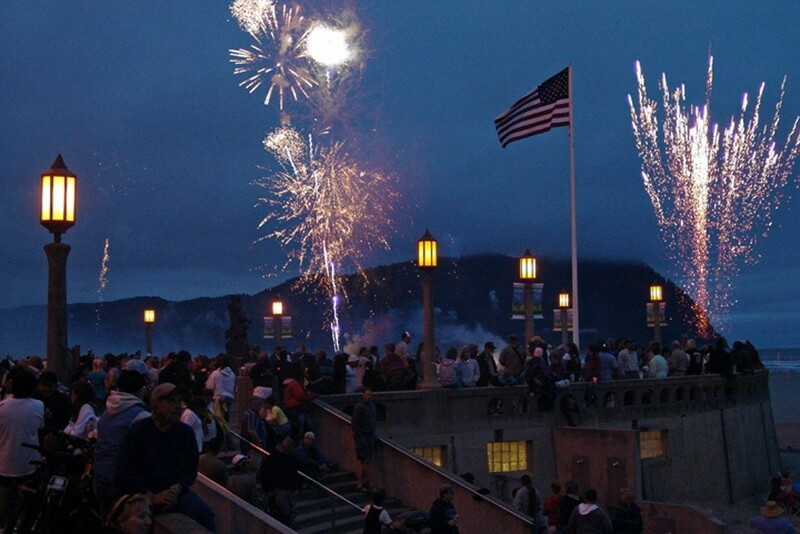 Or I might head out to the beach to enjoy fireworks over the ocean in Lincoln City. I can see the benefit of awesomely cold watermelon. 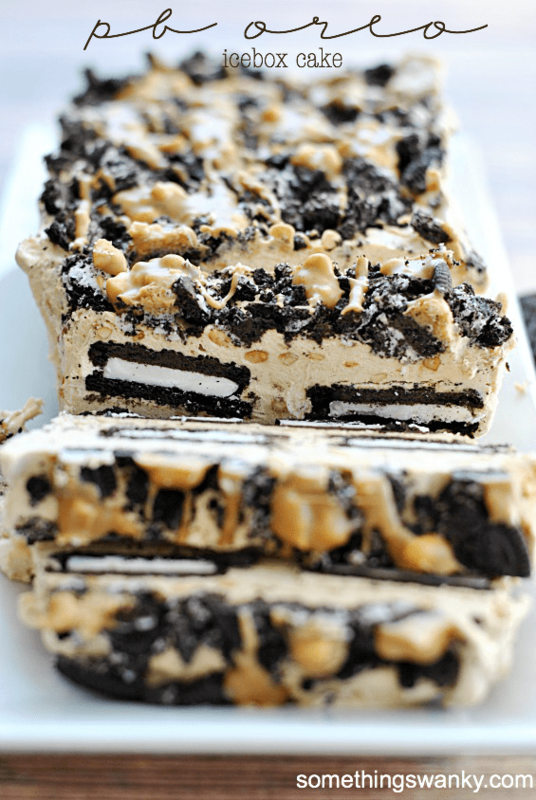 I have been eating a ton of it lately because it is super juicy, refreshing and cold but I definitely want to make this Peanut Butter Oreo Icebox Cake from Something Swanky. I can’t help it. I love ice cream and the best time to eat it is when it is hot outside. There are three smells during the summer that bring back all summer memories I have stored. These three smells can bring a quick smile to my face and a sigh of happiness—fresh cut grass, campfires, and food cooking on the grill. So in honor of summer smells; let’s stoke up the grill! To make sure everyone has a great recipe to try this weekend in case you want to do something different than hot dogs and hamburgers; try this one from Feasting at Home: Nicoise Salad with Grilled Fish. Since it will most likely be hot during the day—and you can only eat so much ice cream before you really do have to account for the calories—you might have to get wet somehow. Usual remedies include sprinklers, kiddie pools, full-size pools, rivers, lakes and oceans. I am thinking something along the lines of Hagg Lake. I like a good sweater but for the most part I don’t want to be bundled up all the time. I prefer loose-fitting cool clothes which means it needs to be warm outside so I don’t freeze. I have been spending a lot of time looking at my closet lately and realized that I have more sweaters than anything else so I think it is time that I splurged and got myself something new and exciting for the summer season. I think I would be okay with this or this . What do you think? I think the beach sounds fabulous! Why does everything just taste better on the grill?? ?